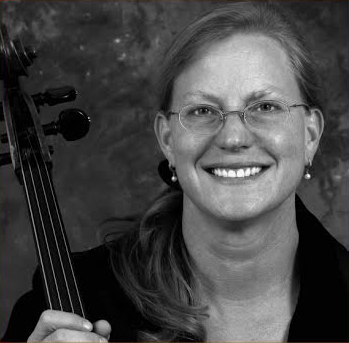 A native of South Dakota, cellist Kelley Mikkelsen has performed in concerts throughout the United States, Europe, and Asia, and has performed with numerous celebrated soloists, chamber musicians, and conductors including Yo-Yo Ma, Bobby McFerrin, Joan Tower, Renee Fleming, and Ursula Oppens, as well as the Cleveland, Juilliard, Colorado and Cavani Quartets. 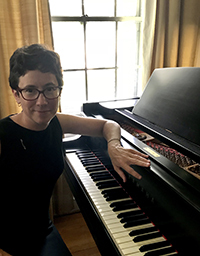 She has also worked with and recorded for some of the world's leading contemporary composers, including Pulitzer Prize winners John Corigliano, George Crumb, Jennifer Higdon, Steven Stucky, Virgil thompson, David Lang, and Julia Wolfe. Ms. Mikkelsen has been invited as Artist-in Residence to the Banff Centre (Canada), in both long and short-term residencies; and she has been Artist-in Residence at Yale, Princeton and Harvard Universities, Syracuse University, the University at Buffalo, Bucknell Unversity, East Carolina University, Cornell College, the University of Pennsylvania, Bard College, the University of Idaho, and UC Berkeley, among others. 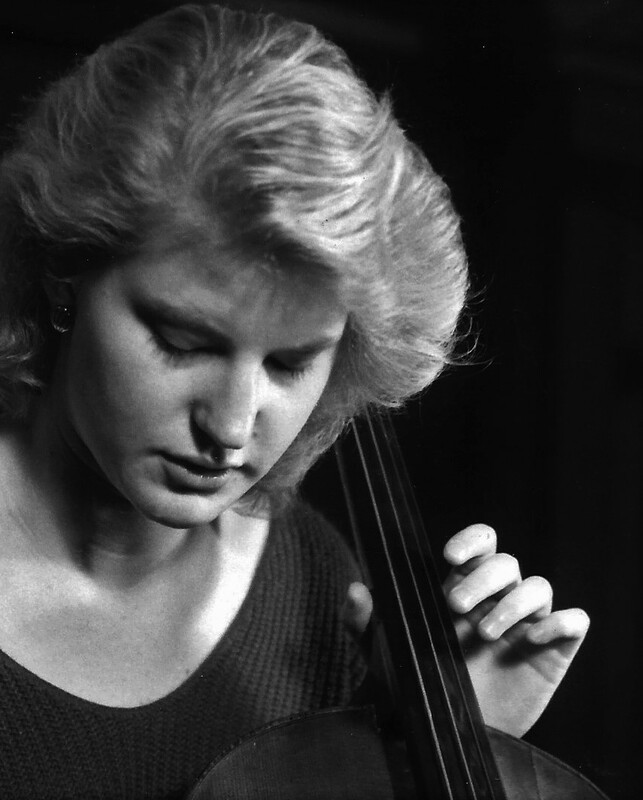 She was named recipient of the prestigious Charles Ives Award of Excellence from the Academy of Arts and Letters in New York City for her commission and subsequent performances of Edward Jacobs' Al Momento for cello and pre-recorded tape. 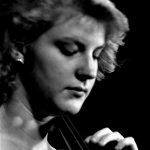 She has been invited to numerous prominent United States chamber and orchestral music festivals, including the Norfolk (CT), Tangelwood (MA), Aspen (CO), Music Academy of the West (CA), Bowdoin (ME), and Interlochen (MI) festivals, as well as several others across the globe. 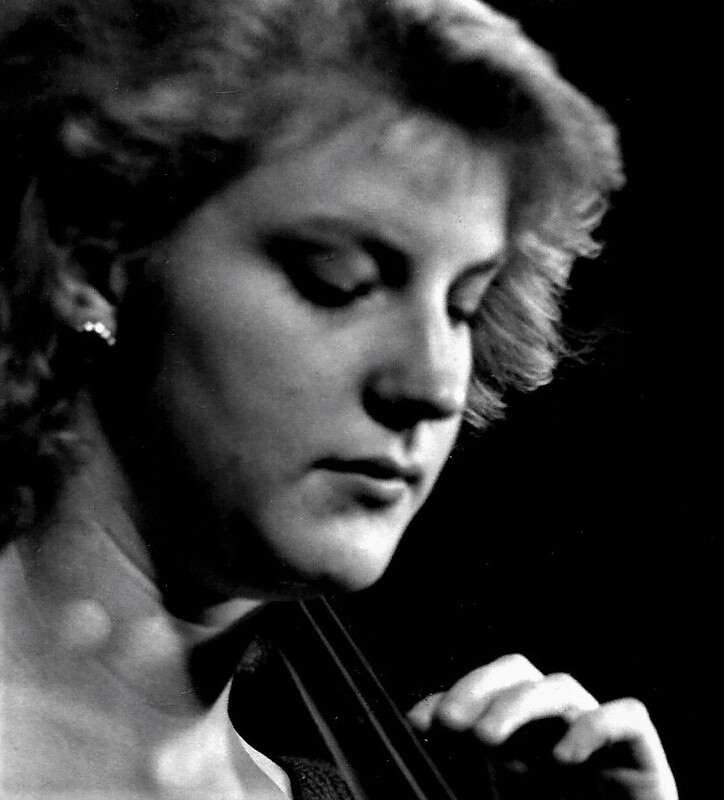 As cellist of the internationally renowned Cassatt Quartet, Ms. Mikkelsen made appearances at Alice Tully Hall in New York City, Weill Recital at Carnegie Hall, the Tanglewood Music Theatre, Symphony Space, Bargemusic, the Kennedy Center, and the Library of Congress. 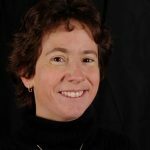 She was also the recipient of numerous prizes and awards, including several CMA/ASCAP awards for adventurous programming, as well as commissioning grants from The Mary Flagler Trust, Meet the Composer, and the National Endowment for the Arts. Currently, Ms. Mikkelsen serves as Principal Cellist of the Roanoke Symphony Orchestra, Opera Roanoke, Opera on the James, the Virginia Ballet, and the Williamsburg Symphony Orchestra; she is also cellist of the four-member eclectic chamber music group, the Cardinal Ensemble. 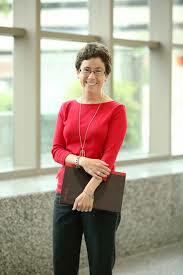 Ms. Mikkelsen earned her Bachelor of Music degree from the Eastman School of Music, and her M.M. degree at the University of Akron; her major studies were with Paul Katz of the Cleveland Quartet, and Michael Haber of the Gabrielli Trio, respectively. 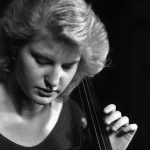 With a deep commitment to nurturing young musicians, Ms. Mikkelsen has taught on the faculties of Augustana College (SD), Sioux Falls University (SD), the University of Nevada, Las Vegas, East Carolina University (NC) and Hollins University in Virginia. 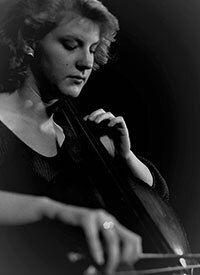 She currently performs regularly at both Virginia Tech and the University of Virginia,, both Charlottesville and Richmond. She also maintains a private studio of aspiring young cellists. 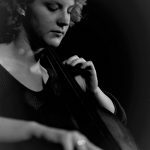 Named three times by the New Yorker Magazine's Best of...CD selections, her work has also been presented on major radio stations such as NPR Performance Today, New York's WQXR and WNYC, WGBH Boston, CBC Radio Canada, and Radio France. She can also be heard on Spotify, iTunes, and Apple.com. Ms Mikkelsen has recorded for the Sony, Koch, Naxos, New World, Point, CRI, Tzadik, Bandcamp, and Albany labels. She plays a Bartolomeo Bimbi cello from Florence, Italy, dated 1780. 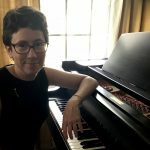 Cara Ellen Modisett is a pianist, teacher and essayist living in the mountains of southwest Virginia. 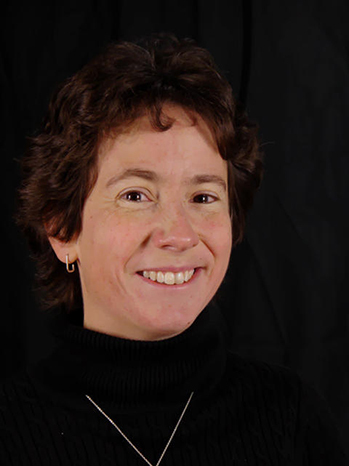 A graduate of the James Madison University School of Music (Va), she is staff collaborative pianist at Radford University and music director of St. Elizabeth's Episcopal, Roanoke. 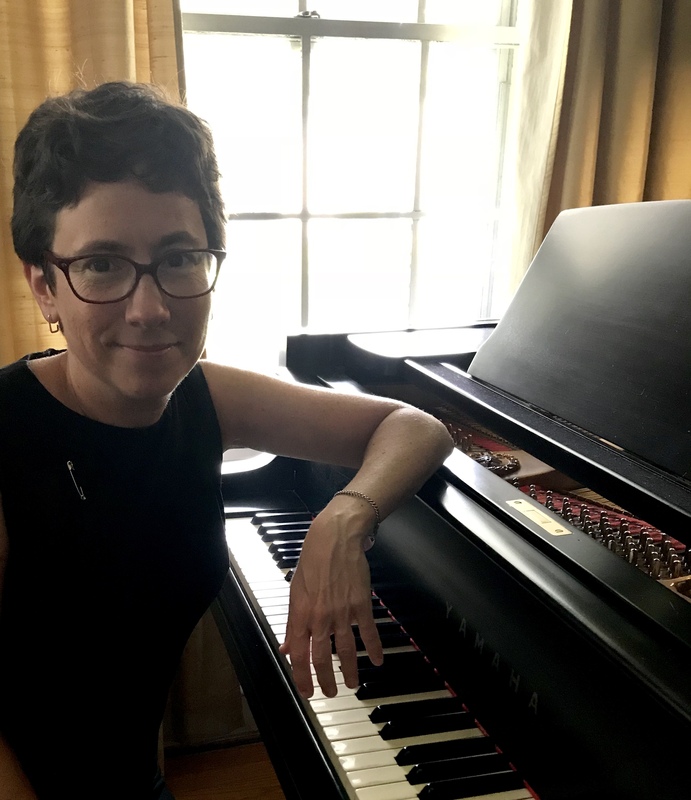 She performs frequently as a chamber musician, accompanist and musical theatre keyboardist; in her past lives she has worked as a regional magazine editor, a college writing instructor and a classical announcer, reporter and producer for WVTF public radio. She is currently a postulant for holy orders (priesthood) in the Episcopal Church. 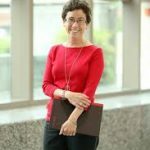 For more information on Cara Ellen Modisett and the inspiring work she does Click Here!